The future is a fickle thing, submissive to influence when one knows how to shape it. In this way, Mr. Nobody did our Doom Patrol a solid during their sidebar with their predecessors. The short but crushing glimpse into the state of self-torture they inhabit represented a warning, but also offered the team a new avenue. Every card needs to be on the table. Every emotions, trauma and lingering haunt must be made public to the group. What better way to do this than with an impromptu group therapy session without any credentialed specialist present. What could go wrong? Vic’s latest team meeting takes a turn when Cliff begins demanding everyone unburden their souls in order to keep them from the Doom Patrol’s fate. This causes each of them to recall traumas from their youth. RIta meets a Hollywood actress as a child and her stage parents force her to introduce herself using her stage name: Rita Farr. Larry overhears his parents condemning his burgeoning homosexuality. An infant Jane cries as her father looms over her cradle. Vic’s mother soothes his fear of Silas after he hurts himself while disobeying him. Cliff tries to shield himself from his abusive father’s outburst toward his mother, watching the cycle of abuse and apology play out from his bedroom. None of these memories are shared to the group. They instead manifest during the lead up to the team meeting. Rita continually has trouble forming her body, ultimately forming her upper half after pulling her body from the furnace. 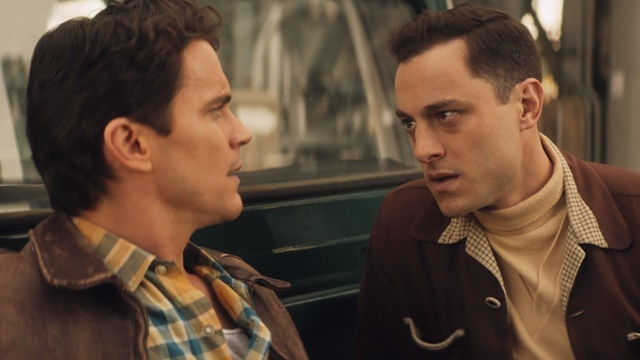 Larry’s energy buddy forces him to relive a pivotal moment in his relationship with Larry over and over until he admits to his internalized stigma of living in secret as a gay man. Jane struggles to keep Hammerhead from destroying her session tapes, ultimately failing, in response to Chief’s intent to send her to his fake school for “broken toys.” Vic strugglers with his own identity when an unchecked Grid reopens his social media and goes Watch Dogs on the city’s CCTV systems. Cliff’s pre-meeting moments are truly heartbreaking. The Robotman stares down a picture of Clara and Bump on his cracked computer screen, tries to eat toast and stares into his train set’s soul as loneliness overtakes him. His response is to speed away in the bus and kick down Bump’s front door. He berates Bump for replacing him, but Bump lashes out in return. He didn’t want to take on the “little brat” when he was enjoying his single life. Insulting Clara heats Cliff’s bolts, prompting more threats. Bump pulls a shotgun and fires, but an energy blast comes out instead of buckshot. This entire confrontation with Bump is a hallucination. Bump is actually Vic, Clara is actually Jane and Cliff finally realizes this after Vic drops him in front of Rita and the energy being. Cliff crumbles at the realization and wishes that his wife had come back instead of him. He’s becoming his father in some ways and all he wants is an emotional release. The experience, and Cliff’s desire to not be left alone with his thoughts, sparks an idea: group therapy. The group seems resistant until Rita seconds the idea. They don’t want to doom themselves like those that came before, after all. The crew really should’ve called in a specialist. Instead, Cliff over-exuberantly leads the group in their sharing session. Rita’s admission that she doesn’t exist outside of the illusion of film causes her legs to reform. She and Jane verbally spar briefly before the group gets a new task: convincing Larry to stay. He stays, despite Cliff outing him as gay to the group, relaying his desire for touch and how he tortures himself and the energy by reliving how he drove John away. Vic tells them about the accident that killed his mother and made him Cyborg along with his worries that his memories aren’t real. 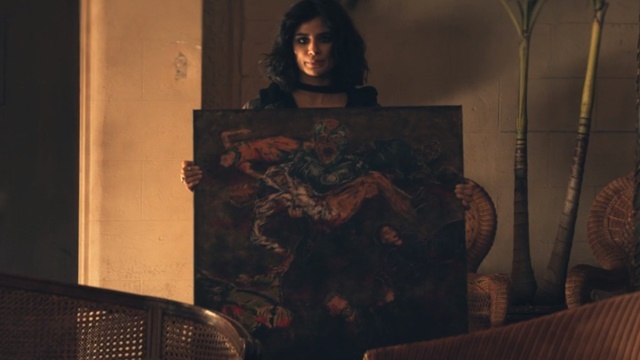 Jane uses her time to show the group her painting of Vic holding Silas’ body in his arms, referencing her Hangman’s Daughter persona as inspiration. She lashes out at Cliff, cursing his attempts at playing therapist and tearing into his physical lack of humanity. He will never be a father because he isn’t even a man. Cliff angrily points out that he’s the only one that can stand her and he only enjoys 1/64th of her. Jane suddenly takes on Clara’s appearance to Cliff as he apologizes profusely. Everyone else appears to him as Bump. Cliff’s freaking out turns into his body shorting out before he shuts down and falls to the floor. A rat crawls out of his mouth. This is Admiral Whiskers. 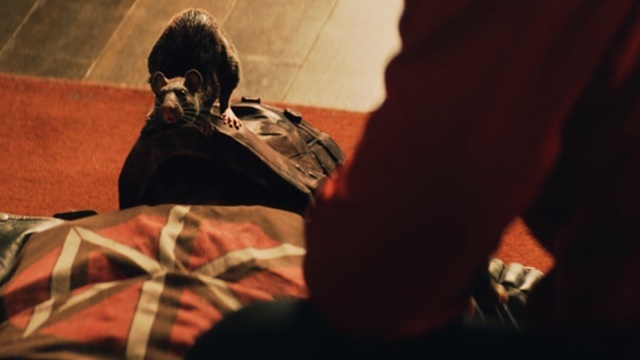 Admiral Whiskers’ story begins six episodes ago when their mother is hit by the Doomers’ bus on their way into town. Crushed by her death, AW is coerced into seeking vengeance by Mr. Nobody. They infiltrate the house, biding their time, until crawling into Cliff’s body via the hole left by Vic’s finger. AW has been the cause of Cliff’s malfunctioning, working their way through his body until Cliff is unable to function. Mother has been avenged. 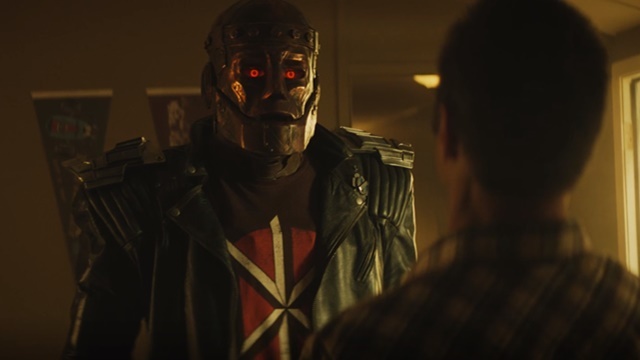 What do you think about Doom Patrol season 1 episode 7? Let us know in the comment section below!